The new excellence formula from Make Up for Ever’s is the new Ultra HD Invisible Cover Foundation. It serves to look natural on skin and provides good coverage, with satin finishing that make it looks natural in your face. The foundation is for all skin type, except oily skin and acnaic skin. 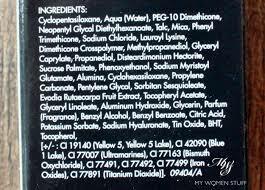 The foundation is not formulated with ingredients that is skin friendly (Non-comedogenic, oil/fragrance free). The foundation comes in plastic bottle with pumping applicator that make anyone so easy to use. I prefer this type of applicator. One pump to your beauty blender and stipple it around your face. Cyclopentasiloxane, Aqua (Water), PEG-10 Dimethicone, Neopentyl Glycol Diethlhexanoate, Talc, Mica, Phenyl Trimethicone, Sodium Chloride, Lauroyl Lysine, Dimenthicone Crosspolymer, Methylpropanediol, Glyceryl Caprylate, Propanediol, Disteardimonium Hectorite, Sucrose Palmitate, Phenoxyethanol, Sodium Myristoyl Glutamate, Alumina, Cyclohexasiloxane, Proplene Carbonate, Pentylene Glycol, Sorbitan Sesquioleate, Evodia Rutaecarpa Fruit Extract, Tocopheryl Acetate, Glyceryl Linoleate, Aluminum Hydroxide, Glyercin, Parfum (Fragrance), Benzyl Alcohol, Benzyl Benzoate, Citric Acid, Potassium Sorbate, Sodium Hyaluronate, Tin Oxide, BHT, Tocopherol [ /- CI 19140 (Yellow, Yellow 5 Lake), CI 42090 (Blue 1 Lake), CI 77007 (Ultramarine), CI 77163 (Bismuth Oxychloride), CI 77491, CI 77492, CI 77499 (Iron Oxides), CI 77891 (Titanium Oxide)]. Who is it for? For all skin types except, acnaic, oily and sensitive skin. Is the ingredients safe? Yes. Clogging pores, white/black head and acnes. Will I recommend it? Nope. 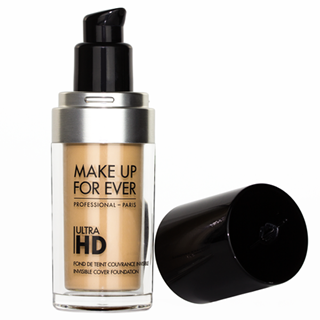 Have you try Make Up For Ever Ultra HD Foundation yet? What do you think about the foundation? Do you have similar problem with me, when you use it?